So who here watches Diners, Drive-in's, and Dives on the Food Network? It's one of my favorite foodie shows! I actually take note of the names of restaurants in different cities that I hope to try at some point. So, of course, when I happened to be watching an episode that featured a restaurant here in Kansas City, of course I had to make it over there. 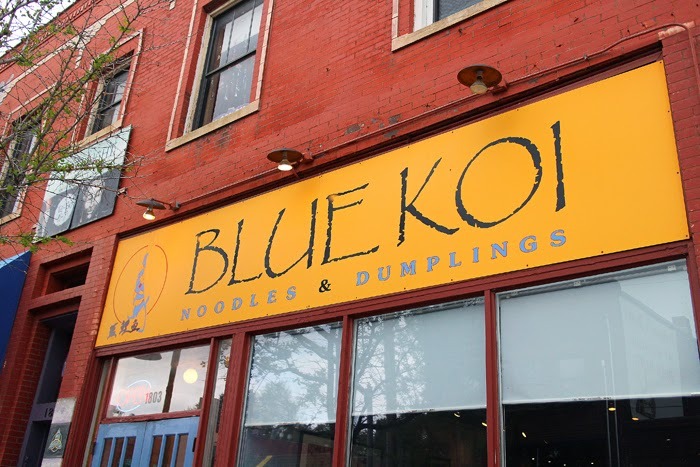 The restaurant is called Blue Koi, and it offers Asian style dishes, but best known for their dumplings and noodle dishes. 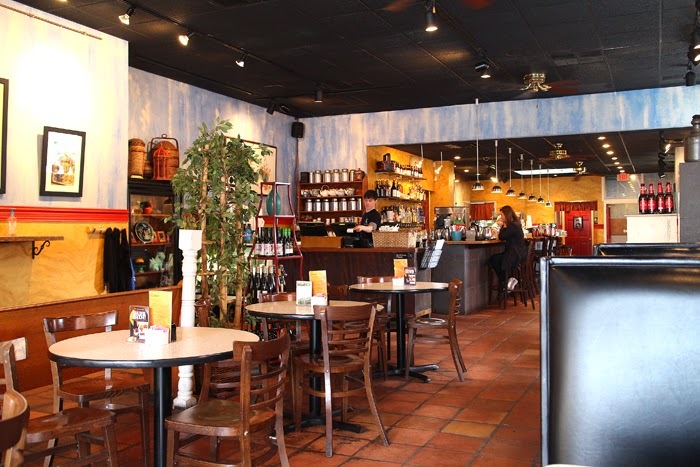 There are a couple locations, but me and hubs had lunch at the Westport location. Westport, by the way, is a bustling neighborhood filled with trendy restaurants, bars and shops. 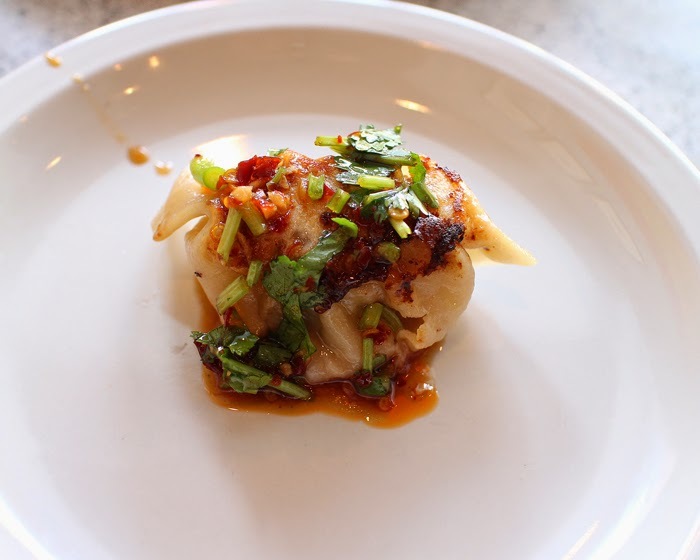 We started out with pan fried dumplings filled with a shrimp, pork & chicken mixture. After dousing them with the a spicy dumpling sauce (our waiter brought over and suggested we try), these things tasted amazing. A perfectly "dressed" dumpling on my plate. So delicious! 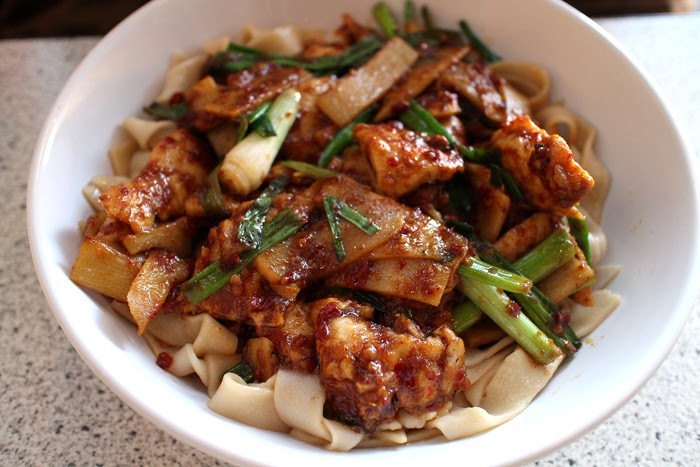 The "FireBird Chicken" dish with noodles. 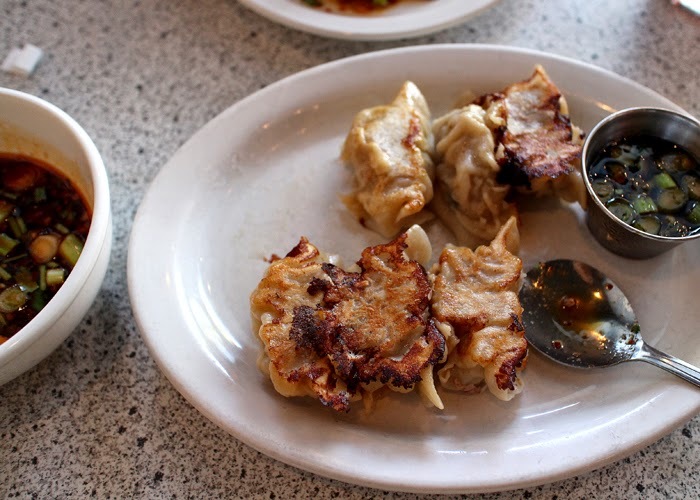 Following in the spicy footsteps of our dumplings. We both decided to try the "FireBird" dish. You can have it made with chicken, duck or tofu. Hubs chose chicken, and I chose duck. The "FireBird Duck" with noodles. I loved this dish! I'm a sucker for scallions and combined with the spiciness of the dish, it all came together really well. 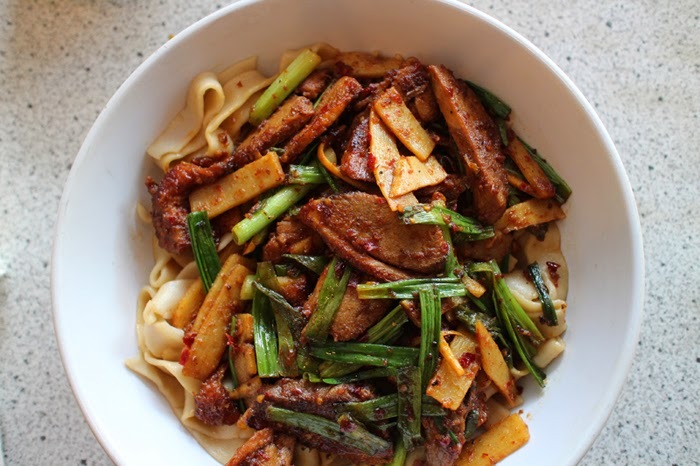 This dish is usually served with rice, but noodles can be replaced for an extra fee. I will say, the noodles seemed a tad overcooked, but keep in mind, I'm very particular about my noodles. It didn't hurt the taste or flavor of the dish at all, however. All in all, we enjoyed our lunch at Blue Koi, and plan to go back to try some other things on the menu. If you're ever in KC, give it a try! I love Triple D, too, and I would love to try some of the restaurants featured. One day... haha.